I'm slowly getting into the holiday spirit. I'd resolved to have a more joyous and less stressful holiday season this year. I swore I'd only do Christmas-y things that I actually wanted to do, and therefore declined my company party. I made a plan, mapping holiday things I actually want to do to the available weekends between Thanksgiving and Christmas. I'd love to say it is working wonderfully, but the truth is that I still struggle to let go of the pressure I inexplicably feel to get our various Christmas things "right" and just enjoy the season. But I'm doing better this year than last year, and I am actually turning my attention to Christmas shopping with something approaching the right spirit- i.e., I'm enjoying picking out gifts that will make people happy and not thinking of each gift as just another item to cross off my to do list. 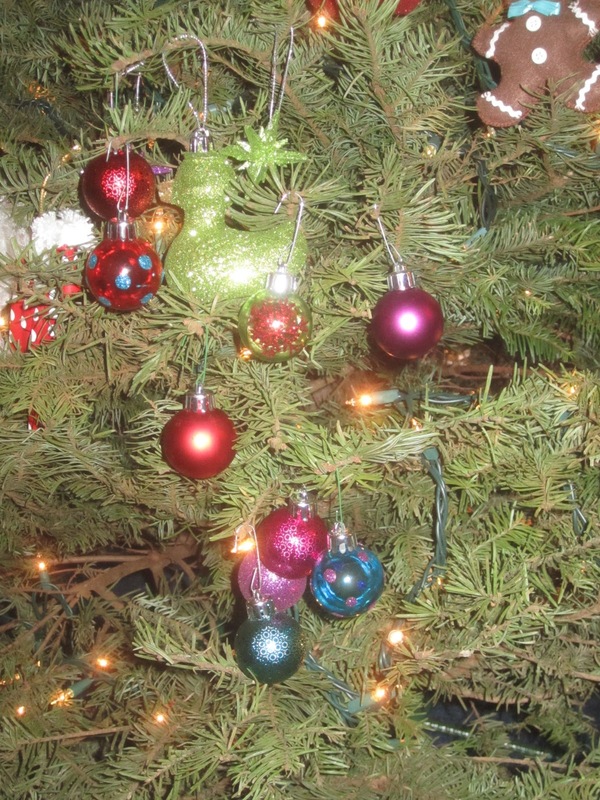 This weekend, we put up the tree. This is another area in which I have to work to shut down my inner perfectionist. The tree is always secure but leaning strangely- for some reason, that doesn't bother my bona fide perfectionist husband, who got so involved in perfecting our picture sharing website this year that I finally gave up and signed up for Flikr- and the kids are at the age where the ornament distribution can only be described as lumpy. But the end result is still beautiful. I also started my Christmas shopping. I started with our adopt-a-family, which is actually a nice way to ease into the spirit. The sometimes overwhelming toy options are narrowed down by the list provided by the parent in the family, and if you can't feel the Christmas spirit while buying toys for kids who otherwise wouldn't have any gifts then your name may be Grinch. One of the items on my adopt-a-family list was a kitchen playset, for a two year old little girl. I stood on that aisle in the toy store for a very long time, trying to decide which toy to get. I know from our own experience that the sets with the cardboard boxes don't last long at all, and besides, I wanted to get this little girl a skill-building toy. The other toy on the list for her was a doll stroller. There is pretty much no way that a doll stroller is going to encourage math skills, so it was up to the kitchen set to do that. 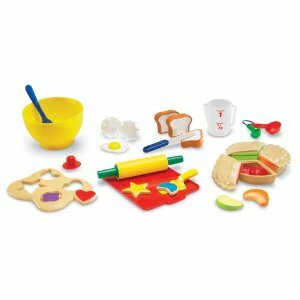 I eventually settled on a Mix and Match Bakery Set , because it included pretend cookies to cut out from a pretend sheet of dough, and I figured that would help with spatial reasoning. Also, it looks like fun. Later, I turned my attention to some of the other kids on my list, and also to coming up with ideas for my own kids, who are very lucky to have so many people who want to buy them things (and who usually ask us for ideas). We've given many copies of Zingo over the years, and there is someone on my list who will get one this year. It is a fun game, and good for helping young kids build matching skills- without boring them or their older siblings. 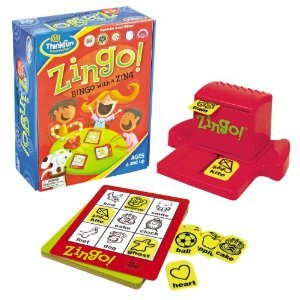 I noticed while I was looking it up that they now have a numbers Zingo and a Sight Words Zingo , too. I suspect those are fun, as well, but I've never played them. 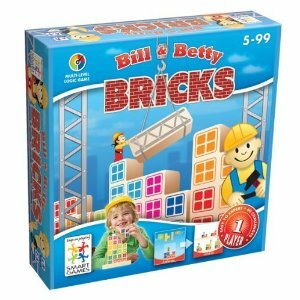 I am tempted by Bill and Betty Bricks , which is made by the same company that makes the Castle Logix toy that our girls like. In fact, that company (SmartGames ) has a lot of interesting looking toys. 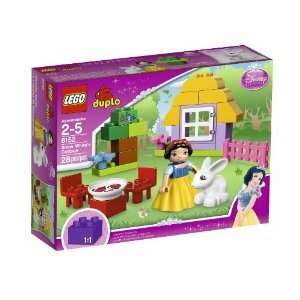 If you're looking for toys to promote logic and spatial reasoning and you want to go beyond LEGO and other blocks, check their options out. Another great building toy in disguise is a train set. We have both the wooden tracks and the plastic Fisher Price Thomas the Train TrackMaster tracks. 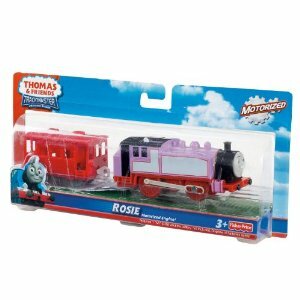 I know this is heresy, but we actually prefer the plastic set, at least for Petunia, who is the train nut right now. The plastic tracks are more forgiving of being tugged into position by a three year old who doesn't quite get the concept of making sure the two ends line up, and she likes the motorized trains. So we may be suggesting some more tracks for her for Christmas- we need at least one more expansion set , so that we can have two joins and make more complex tracks. She's been asking for Rosie , too (although she calls her "the pink one"). Even though I tend to write posts only about toys that promote math and science skills, I am in favor of kids having a wide range of toys to play with, including dolls and dress up sets and other toys that are more traditionally "girl toys." These toys promote skills, too- the good ones promote interpersonal skills and creativity. I bought a baby doll and a chef's outfit this weekend, and happily suggest dolls that my girls want when people ask for gift ideas. This post is getting a bit long, though- maybe I'll come back and write up some of our favorite dolls and "let's pretend" toys later. What about you? What's on your toy shopping list this year? Any great finds you want to share in the comments? I do love anything from SmartGames. The Thomas stuff made me gulp. We had a home full of trains when fMhson was little! My gifts for the Star Wars obsessed kid are up today. Tomorrow hitting the pink wall! We did just go to an 8 year old girl's birthday party. We brought 3 "Pony club" books and two suspense novels. 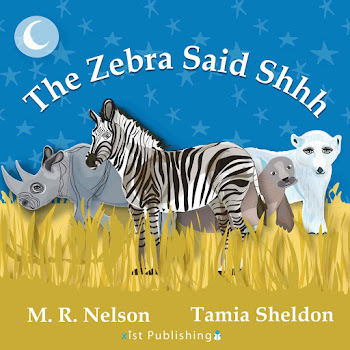 (Everything else in our gift closet seemed too young, except From the Mixed up Files of Mrs. Basil E. Frankweiler which the back told me was too old.) It seemed like many of the other parents were also kind of at a loss as to what to get, according to DH. She got a lot of beauty products, which seems wrong to me. She's the oldest in the class and at normal or advanced development (based on my reading of the Halloween book the class made) and DC1 knows nothing about her interests ("She likes Lillian," he said, but that was all he could come up with), so future parties this year should be a little easier for us. We try to avoid the Princess Industrial Complex, but I'm also not willing to tell a child that they want the wrong thing. 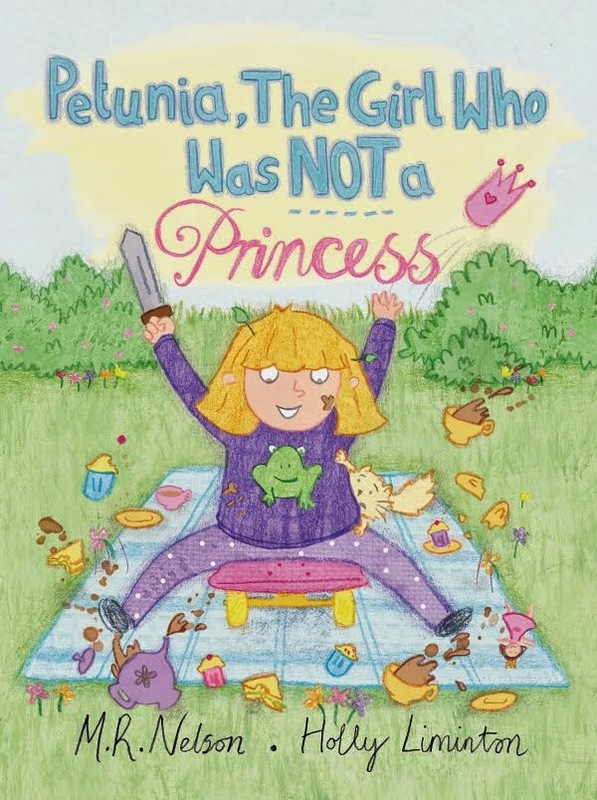 "You're great just as you are, unless you like pink and princesses" is also a terrible message, IMO. I'm going to remember your solution, though--I think it's a great way to get the child what she wants, but make sure that there are other play options in the mix. Like @nicoleandmaggie, the grandparents buy the kids enough toys, although I do insist on buying a couple of things for each. I bought our 2 y.o. his first baby doll and a matchbox car set, and the 4 y.o. a Lego ambulance and a couple of Old Navy shirts (he loves getting clothes). I also lean towards skill-building toys, rather than piles of plastic stuff and noise making nonsense. The other thing I bought the two kids together is a box of art supplies (from the list supplied by the artful parent), so we can do art projects all winter. I love to get gifts from Montessori services. I give my nephews (who have TONS of pointless toys) things like real cooking tools (kids especially love juicers and graters), garden tools, puzzles, and math materials. It's well made and not expensive (for the most part). We do stuff stockings... DC1's favorite gift the other year was a simple calculator to replace the old (freebie) one of DHs that finally broke after heavy toddler use. An excellent use of $5-6. He also really liked a Montessori broom we got him when he was little (but not at Christmas). Someone gave us a hand me down toy baby stroller and it was actually kind of cool. My daughter put her teddy bear in it and pushed it around the driveway or when walking to the grocery store with me. Walking with me and counting out fruit and items on the shopping list promote skills. She also counted the number of birds she saw on every outing. It was terribly cute and useful. Oh, don't get me wrong! We have a baby stroller and we love it. And I bought one for the little girl in my adopt-a-family. I just wanted the second toy to have a little bit of math skills-building built in. My mom is buying the kid most of the big gifts (not by my choice, exactly, but whatever. Gift horse and all), but we'll buy him some small things--puzzles for sure, and I'd like to get him either some pretend play objects or that Castle Logix has been intriguing.